Learn where to land so you can become the champion. It’s no secret that Apex Legends is immensely popular right now. Fans of all games are flocking to the new battle royale title during its launch week. Everybody is obviously a new player when it comes to this game at the moment—but some players might need help understanding the map more than others. There are several unique symbols and different elements that you should learn about before dropping straight into your first game. 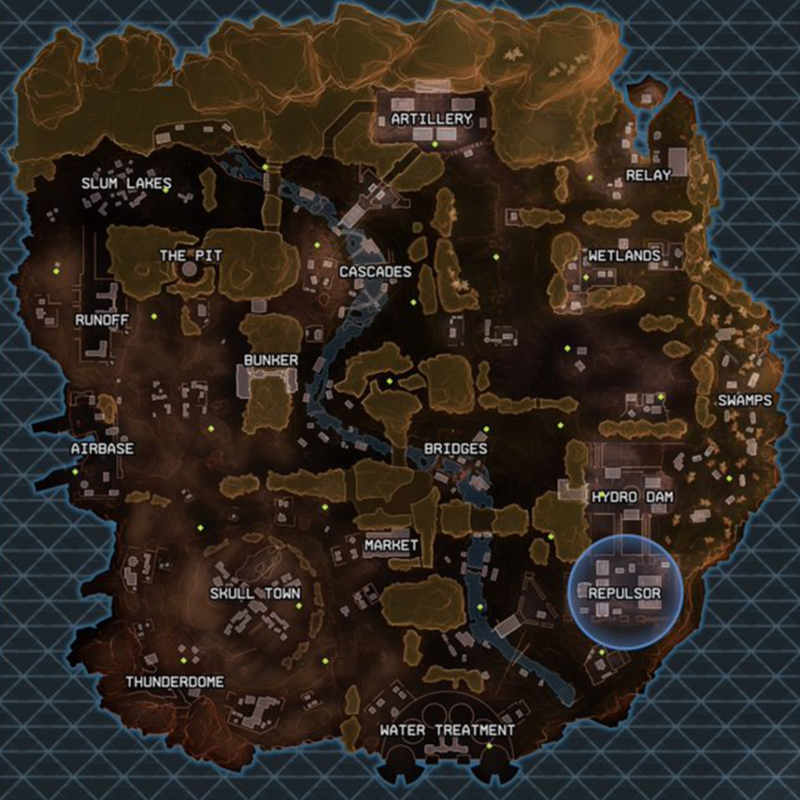 Here’s a full breakdown of the Apex Legends map. There are also several unnamed areas on the map that contain weapons and other loot. 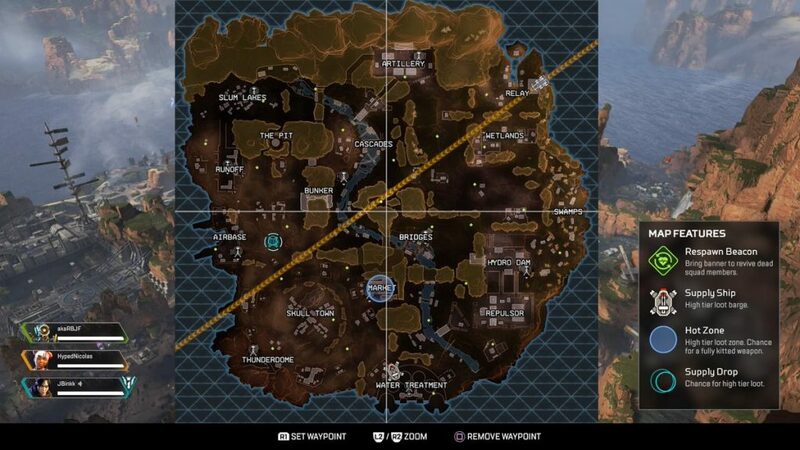 When you’re in a game of Apex Legends and you pull up your map, you’ll notice that there’s a box on the right side of your screen that describes some of the features on the map. The green diamonds are Respawn Beacons, which allow you to revive your dead teammates. The white floating craft is the Supply Ship—it will move around the map and contains high-tier loot. Each game will feature a blue circle, which indicates the Hot Zone. This Hot Zone is different in each game and provides high-tier loot, as well as the chance for a fully-kitted weapon. Finally, if you see two teal circles on the map, that will indicate where a Supply Drop is landing. 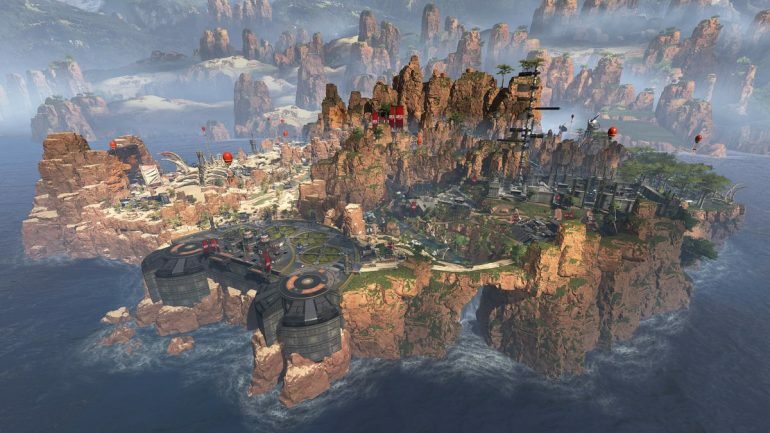 Overall, the Apex Legends map isn’t too complex and it should be pretty easy to get the hang of it after you play a few games.